They actually came with one more smaller paper plate, but I discovered that overlapping and then gluing paper plates together was much harder than it looked, so I turned it into a one-paper-plate craft! Each turkey came with six feathers, but I only used five. For the "Miss White" turkey above, I wrote out each 4-beat pattern of the chant on four feathers. On the fifth feather, I wrote a trick pattern that didn't belong to the chant. 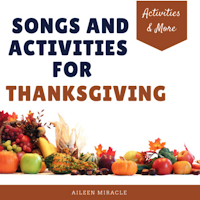 I made five turkeys for each of the five songs/chants: Miss White, We are dancing, Apple Tree, 2, 4, 6, 8, and Bee Bee. Then after singing/speaking each song/chant with the first grade class, I split the class into five groups, and each group got a turkey with five feathers. I told them to figure out which patterns went in which order, and to fan them out. They had lots of fun writing! They simply placed the feathers where they thought they should go--no glue needed! After each group was done, I had them stand up so I could check their work. If a group got done earlier than other groups, I told them they could then put the feathers into whatever order they wanted. 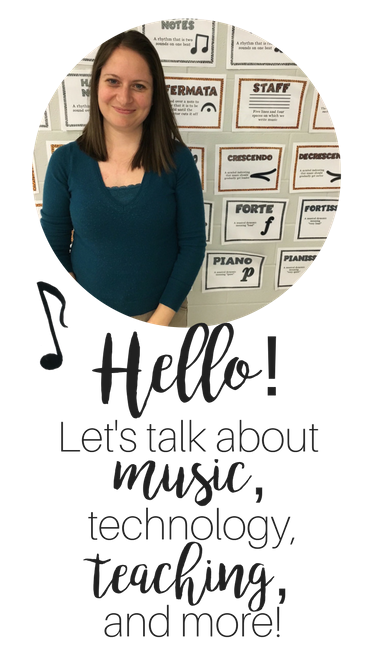 One student suggested that they take turns clapping rhythms, and the members of the group would have to figure out which feather they clapped. Love it! I used this for ta and ti-ti, but with my leftover turkeys and feathers, I still have enough to make another set for next year for a different rhythmic concept! Have a wonderful Thanksgiving! Hope you are all able to spend some quality time with your family and friends. Enjoy! 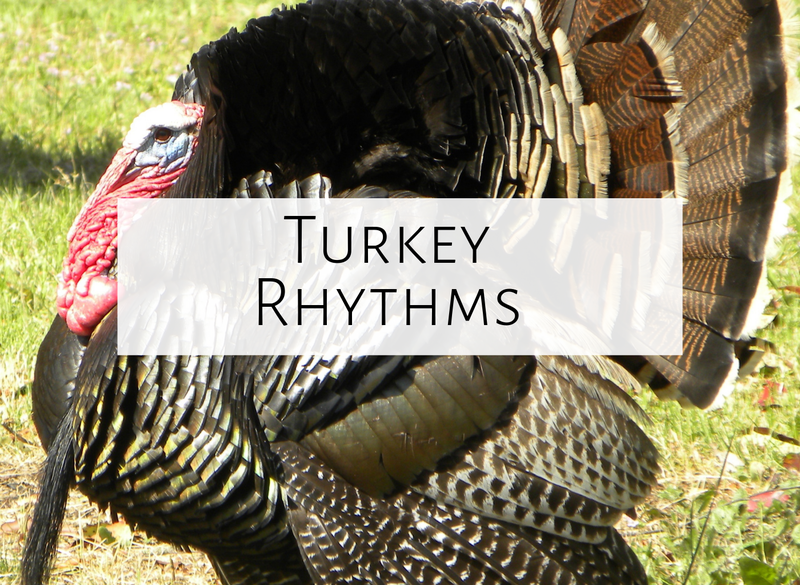 Love the turkey rhythms! Will have to give that a try next year! Hi Brittany! Sorry I'm just now responding! I only do a choir winter concert, and a school-wide singalong that only takes two weeks to prepare. Otherwise, I would have a hard time fitting things like this in too!